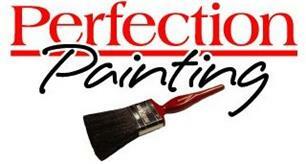 Perfection Painting - Painter/Decorator, Plasterer based in Arnold, Nottinghamshire. I started trading as Perfection Painting in 1999, having spent previous years working for large painting contractors from Nottingham. I have over 30 years experience as a painter and decorator and offer a high quality painting and decorating service. I am highly customer focused and always offer advice based on my extensive experience. The services I offer are for both interior and exterior decoration. I specialise in high quality workmanship and wallpapering. I also offer plaster repair, render repairs and plaster skimming to ceilings and walls. Additionally, I now offer a Tiling service too. I work predominately in the East Midlands areas.